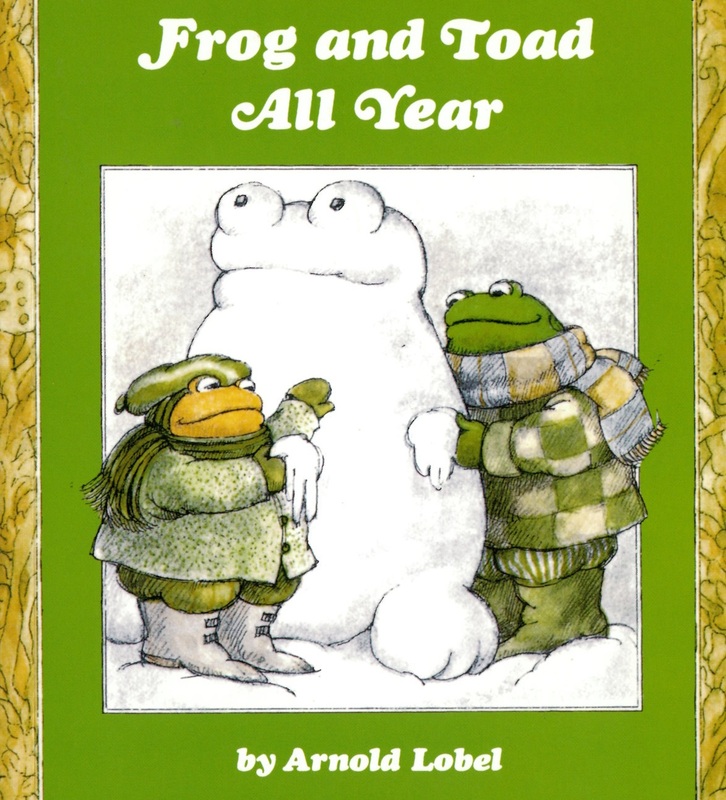 Arnold Lobel, who would have been 80 this year, wrote his Frog and Toad books to help children learn to read. But like Dr Seuss, Lobel achieved much more through his characters, creating one of the most tender and believable representations of friendship in literature. 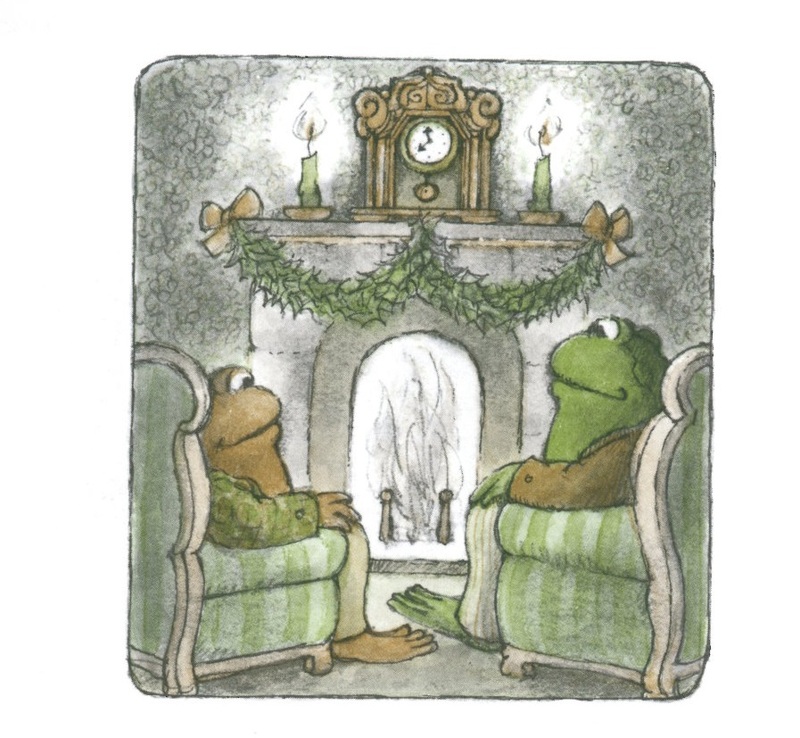 In Frog and Toad All Year we follow the pair through the seasons, from Winter back through to Christmas. 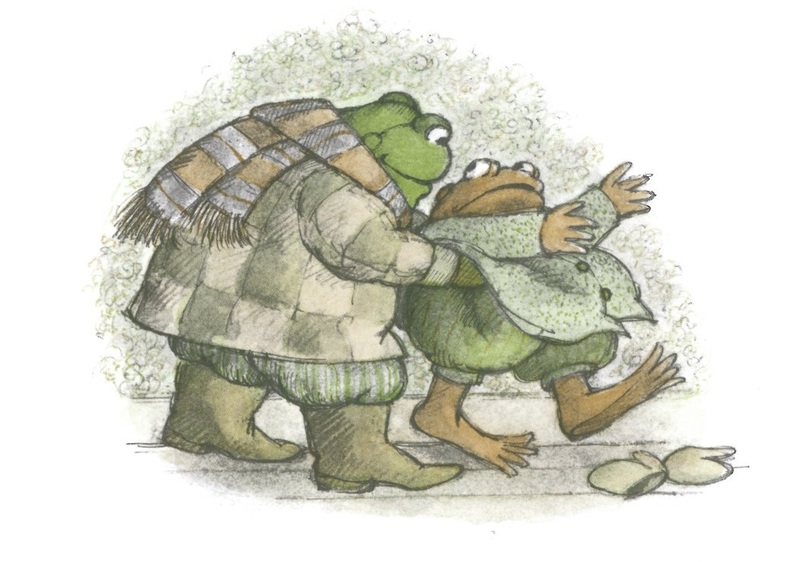 Lobel doesn't worry too much about altering his colour scheme with the seasons – in Frog and Toad's world things are always green and brown – even the ice cream. 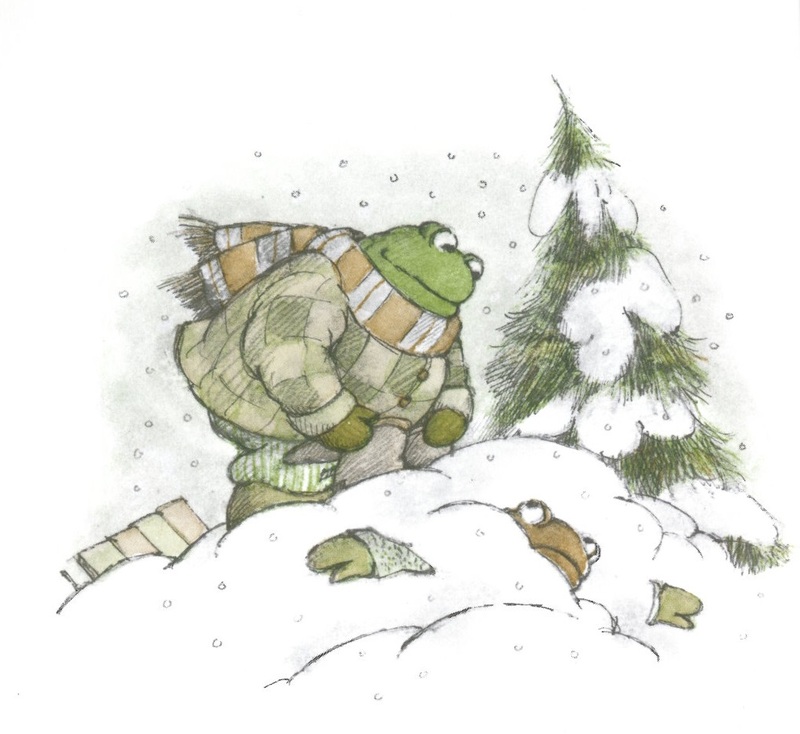 Down the Hill sees the always ebullient Frog knocking on the door of his ultra reticent friend, and forcing him into hat, scarf and snowpants and then sending him hurtling down a snowy hillside. 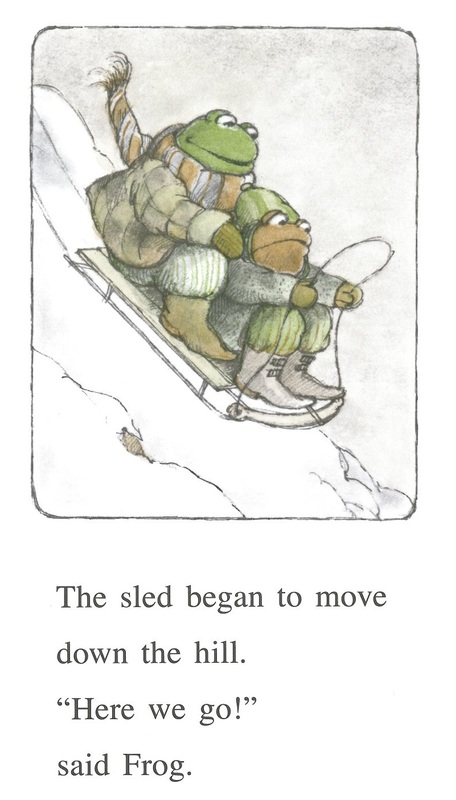 The story is carried by the same brilliant momentum as the sledge carrying toad uncontrollably through the snow. 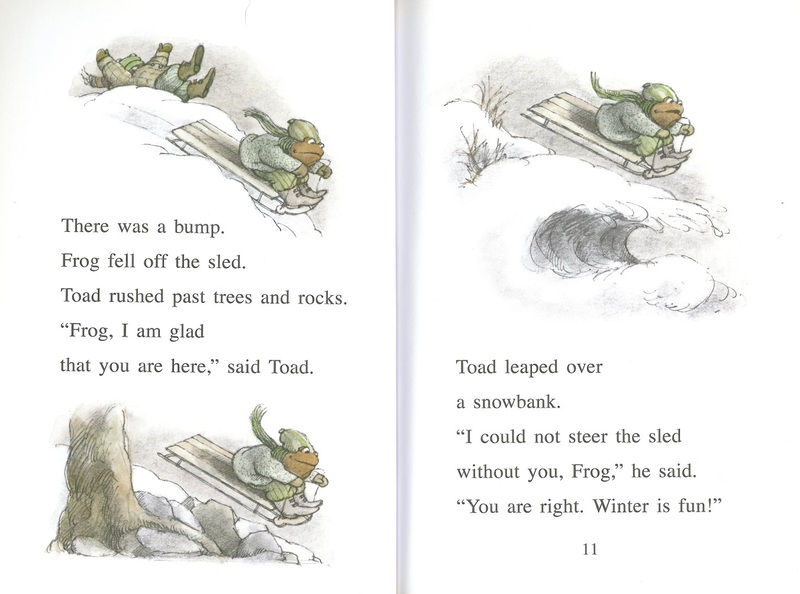 At first Toad believes he is accompanied on his sleigh ride by Frog, giving him confidence and even allowing him to enjoy the ride. But a conversation with a passing bird puts him right on this, and all of Toad's confidence flies out of the window. 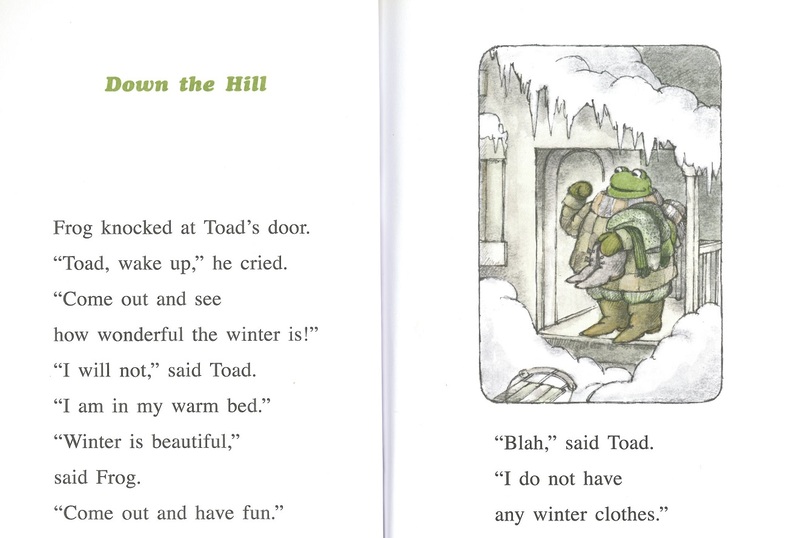 By the time Christmas comes around again, Toad is in a fresh panic as Frog hasn't turned up at his house for Christmas, so obviously some dreadful fate must have befallen him. Armed with frying pan, rope and lantern he hurries into the cold to save his friend, only to run headlong into another hilarious moment of realisation. 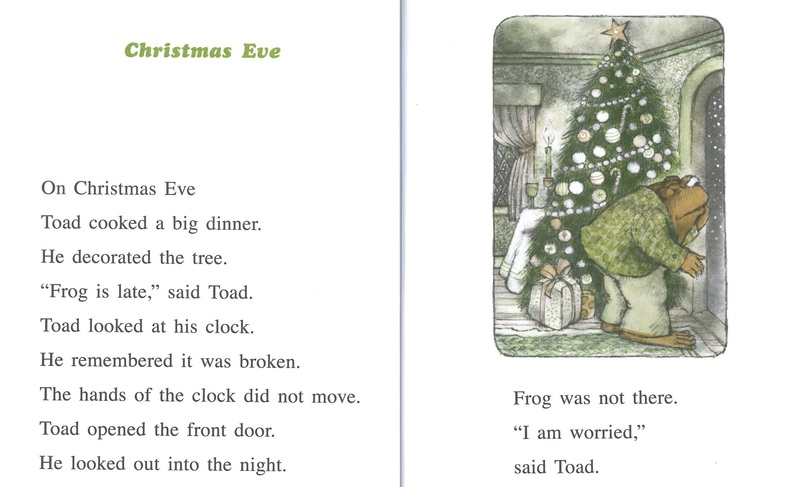 Out of all the many Christmases I've seen in print this year, I think I'd chose Frog and Toads. 'Two friends sat by the fire. The hands of the clock moved to show the hours of a merry Christmas Eve.' Just perfect. 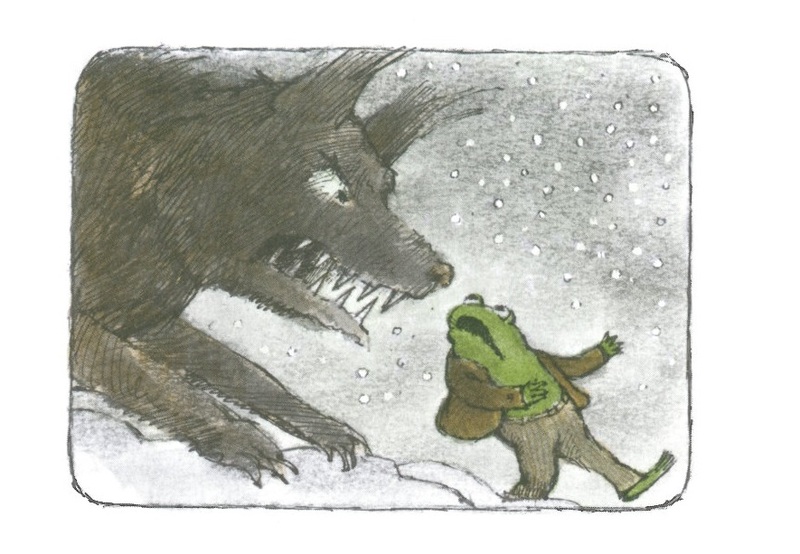 Tags: Arnold Lobel, Dr Seuss, Frog and Toad all Year. Bookmark the permalink.